In case you missed it, Commander Keen in Keen Dreams has surprisingly appeared on the Switch eShop. The Nintendo port of the 1991 id Software MS-DOS game has been developed by Lone Wolf Technology. In celebration, one of the game's creators - Tom Hall - chimed in on the Nintendo Switch Reddit and replied to a few comments wondering if more classic Commander Keen games would eventually be released or if a new one would ever happen. "Zenimax/id would have to. I would love to do a new Keen but don’t have the rights." "Not really. Every letter to them has gotten a form letter response." In 2013, Hall attempted to fund a 2D platform creation tool called Worlds of Wander which was intended to come bundled with a "spiritual sequel" to Commander Keen. In the end, the Kickstarter campaign didn't reach its goal. As noted by PC Gamer, the only reason the second game has arrived on the Switch is because it's not currently owned by id Software or Zenimax. The title will set you back $9.99 in North America or £8.99 if you live in the UK. Will you be downloading this retro side-scroller? Did you play it back in the day? Tell us below. I don't know much about this game. What I do know is that the YouTuber LGR shows it in his videos regularly and seems to like it. Since I enjoy his content, I am tempted to give this a try, if only to see what he's talking about. Going that far back go back further, I want the commodore 64 smurf game on switch! Gosh, I forgot this game existed. Been playing this when I was 7yo Not sure this game is going to do much more than bring few adults to buy it out of nostalgia. Will 8bitdo release a Gravis Gamepad adaptor to coincide? Tom Hall has been saying that for over 20 years. I never understood why iD let the brand languish when it could have complemented the likes of their "big boy" FPSs for which they are now best known. 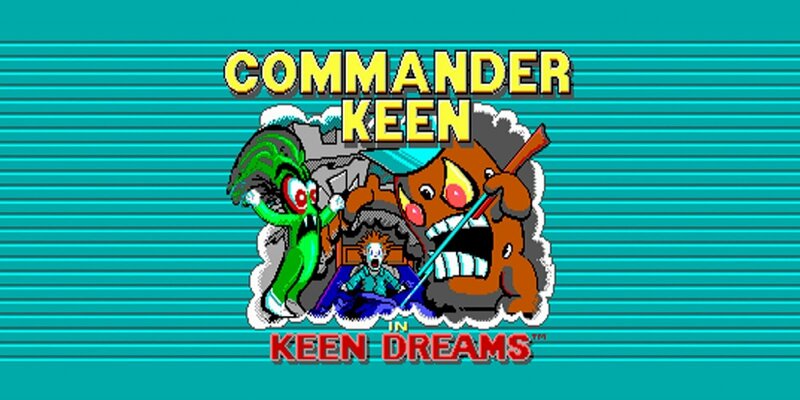 For those who are unaware, the Keenguy secret bonus in DOOM (2016) is a reference to Commander Keen, however, Keen Dreams is the only game in the original PC games where he isn't wearing his trademark purple shirt and American football helmet. For those on the fence, the PC version of Keen Dreams (in its entirety) is shareware, and this particular shareware title is a rare instance in which the shareware version is the full version of the game (paying for it is merely a gesture of appreciation to the developers). The asking price is very high relative to many other games in its price range. It has the length/depth of Gunman Clive, or a NES game, to provide a comparison (in respect to the amount of content on offer here). Now, if they had remade the game from scratch and charged that much, it would perhaps be more reasonable. Nevertheless, the Keen games are a lot of fun to play over and over again. I realise I am in the minority that couldn't throw money at the game fast enough (I freaking love Keen as I have repeatedly emphasised), but the average person may perceive this as being poor value for money. Nevertheless, I look forward to more Keen games on Switch and I'll pay whatever they want for it. A physical compilation would also be a dream on top of a dream come true. It still feels so surreal to have Commander Keen on the Switch. This is a game I have played so many times over (it isn't even reflective of the best that the Keen series has to offer), but I am so, so, so, so, so grateful to those of you responsible. You have made a dream come true last night. I think at this point you may as well ask EPIC if they're interested in making another Jazz Jackrabbit or Blizzard if any new Lost Vikings are on the horizon. I think that ship has sailed a long time ago and most you'll get is an acknowledgement or cameo in modern games they make. @SmaggTheSmug I would be over Lost Vikings like white on rice. Jill of the jungle and captain comic !! Pretty please !!! Remember, Zenimax aren't exactly the good guys right now, if you've been keeping up on the Fallout 76 fiasco. I haven't even heard of this series. Hopefully I will be impressed enough by the eShop description/video to give it a try. I feel like for this price it should have been the collection. Given that the game likely have aged poorly this would have soften the blow. This and Cosmo's Cosmic Adventure. Full nostalgica mode on. Triggered me. This game felt archaic even back then. Looked like a platformer from the NES era, but with more stiff controls like something from the C64 or Atari. The people who played Super Mario World on the SNES in 1990 had a good laugh at this basic and simple platformer when it came out a year later. While its requested ten euros is a bit steep for what's being sold here, its rerelease, according to the game's original creator, isn't something to be taken for granted either. While my first actual game was DuckTales: The Quest For Gold on PC, my actual debut in the platforming world was Commander Keen. Namely, not the one that's on offer here and now, but rather one of its sequels: Goodbye Galaxy. I still have its themes chiseled in my brain's cortexes (I mean, the first level theme sounds so happy), and the minimalistic seven-note tune (as in, it only consists of seven notes, I didn't mean it's complex, rather, the opposite) for its harder levels still screams "hard level" to me to this very day. The gameplay was rather basic, true, and the level couldn't be replayed upon completion, but it still was my first exposure to platformers and, I have to say, it could have been much worse. I dunno about this particular Keen game, but if it's as good as Goodbye Galaxy, at half its current price it's a must-buy. Just a PSA, but this port is pretty much borked, running at 20fps at 50hz, which is creating major framepacing. Also, Night Dive Studios own the rights to Keen Dreams, so this is suddenly seeming like an unauthorized cashgrab. The engine it's running on is open source, so anyone could have compiled it and released it. Oh HELL yes!! I downloaded this right away. My God, this was my favorite series growing up. Goodbye Galaxy was the best. I really hope the rest show up on the eShop!! @SmaggTheSmug Jazz and Keen for Smash! Games like this are for pure nostalgia only. Absolutely no reason to pay and play if you’ve never experienced it before, especially at that price. This is from the golden days of shareware (the demo anyway) and brings me right back to my early days of PC gaming. Therefore worth the price. Nice! I didn't know that game was on the eshop? I'll have to get it. @rdrunner1178 It came totally out of nowhere yesterday! And what's to stop him from making a Commander Keen game in every way but name? How is this news? We've known this for a long time. As for "Keen Dreams," the original PC version of the game has always been available for free and perfectly playable on modern PCs via DosBox. It's also easily the worst game in the series save for the GBA game. It's not worth $10 just to play it portably. However, if they were to offer "Goodbye Galaxy" or "Aliens Ate My Babysitter," I'd buy those in an instant. @SenseiDje : Yes, please! I was hoping for a VC release of Captain Comic (futile, I know) as it was also released on the NES with completely different graphics and engine. @Coxula : It may interest you to know that Cosmo will be a playable character in the upcoming Switch game Rad Rodgers, his first appearance in 27 years! 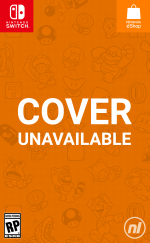 He can be spotted in the screenshots in the game's eShop page. Sadly, his redesign appears to have stripped him of his endearing child-like innocence and the one thing that made him unique, his suction cup hands. Duke Nukem is also playable, alongside other characters from the 3D Realms catalogue. Incidentally, both Cosmo and Duke were conceived by Todd Replogle who has been retired for about 22 years now. @SKTTR : Keen has never controlled or looked like an Atari/C64 era game. Keens 1-3 felt and played like NES games, yes, with their stiff controls and rough scrolling (though it was quite advanced by PC standards, and iD even proposed porting Super Mario Bros. 3 to PC, but despite their tech demo, amusingly titled Dangerous Dave in Copyright Infringement, Nintendo refused their proposition, presumably to keep their games on their own hardware). Keens 4-6 (and Dreams runs on the same engine as these) complete blow the first three games out of the water with their polish, smooth scrolling, and meticulous control scheme. 4-6 are easily among the best games ever made and I still play them to this day. Tech-wise, I would compare them to SNES games, however, these games are still confined to the same 16 colour limitations as the first trilogy. A VGA (256 colour) version was planned, but ultimately scrapped. Oddly, there are CGA (4 colour) versions of 4-6. Dreams is a weak point in the series though, and was made because the guys at iD Software still had a contractual obligation to produce some more games for Softdisk, and Keen Dreams was one of the resulting games. @Silly_G I just tried to find something comparable, but yeah, it has the typical early 90ies EGA/VGA rough scrolling graphics. Can't deny it has its own kind of nostalgic charm, similar to those other weird, cool retro reboots (Saboteur, D/Generation). Back in the day it looked underwhelming as I was somewhat spoiled (even the C64 had smoother scrolling and the SNES was out) but nowadays I like my retro fix, and this game finally appeals to me somewhat. $10 is a lot considering Commander Keen 1 - 5 are on Steam for $5...for all five.